"It can be done within a maximum of six months." The Prosecutor-General of Ukraine Yuriy Lutsenko proposed to create a anti-corruption chamber within the existing system rather than special anti-corruption courts. "Ukraine needs to create an anti-corruption chamber of judges who will deal with the category A corruption cases. 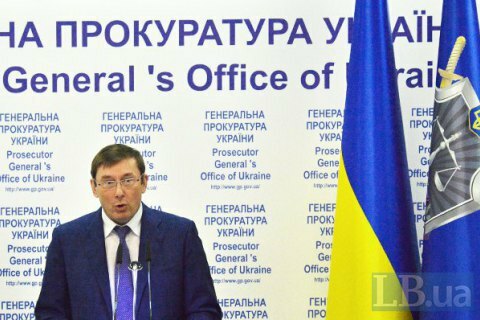 Regardless of which body brings an indictment to court, in my opinion, these cases should be considered by a specialized chamber of judges," Lutsenko said Monday at an international seminar on combating corruption in Kyiv. In Lutsenko's opinion, such a chamber should be created on the basis of the existing criminal court. "It's not a separate court, but a court inside an already existing judicial institution. This would save years," he explained. At the same time, anti-corruption judges should be recruited from among new people elected on a job contest basis under the supervision of public organizations. "It can be done within a maximum of six months," the chief prosecutor said. In March, the Supreme Council of Justice rejected as contrary to the Constitution a bill on the creation of a special anti-corruption court that would consider criminal proceedings instituted by the National anticorruption Bureau (NABU). The US and the EU insisted on creation of anti-corruption courts in Ukraine.